Gingerbread Cream Liqueur is deeply warming and comforting. This smart winter tipple blends spice-infused rum and fresh cream in a way that is hard to resist. Treat yourself, or a loved one, to a bottle this winter. All of my adult life I’ve been partial to a glass of Baileys. I think my heart was won over early on because I’d occasionally find a Maraschino cherry floating in my glass. So it’s really little wonder that I’ve finally got around to developing a recipe inspired by this well-loved drink. 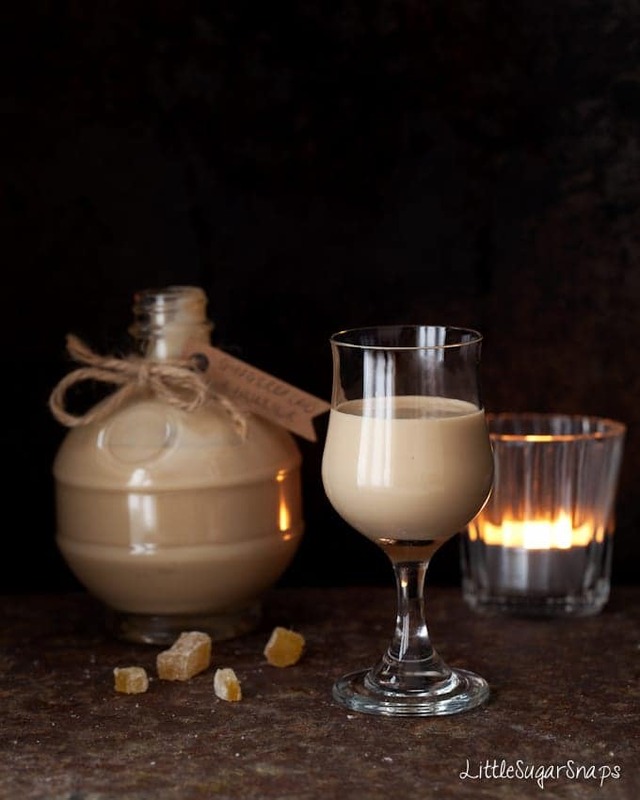 Today I’m talking about this nifty little mutant drink of mine – Gingerbread Cream Liqueur. 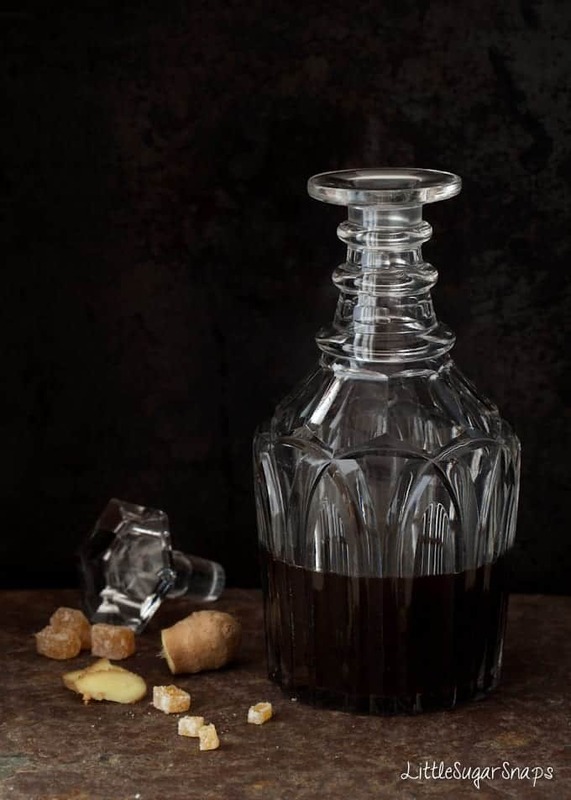 This liqueur is made using dark rum which I’ve spiked with a hefty whack of ginger, sweetened with dark muscovado sugar and made ultra indulgent by finally blending with a splash of cream. The result is a sweet, spicy, warming and creamy little nip of alcohol that will most likely leave you feeling warm and fuzzy inside. It’s straight-up alcoholic cuddle time. At the heart of this liqueur is an infusion of rum with plenty of ginger and a few other select ingredients. After 5 days, the rum will have picked up plenty of ginger spice flavour and will be ready to be magically transformed into this smooth and spicy Gingerbread Cream Liqueur. Since the liqueur must be kept refrigerated once mixed with the cream, it can be served just as it is: chilled. Or over ice. The choice is yours. If there just happens to be a log fire blazing in front of you when you’re drinking it then I am eternally jealous all the better. Bonus: anybody not into creamy liqueurs may well enjoy a small tot of the ginger-infused rum by itself. It is slightly sweet with a pleasant burst of spice and is perfect served at room temperature or slightly chilled. Sip it slowly though, since it serves up a punchy hit of alcohol. I tend to make up a large amount of the infused rum in one go. 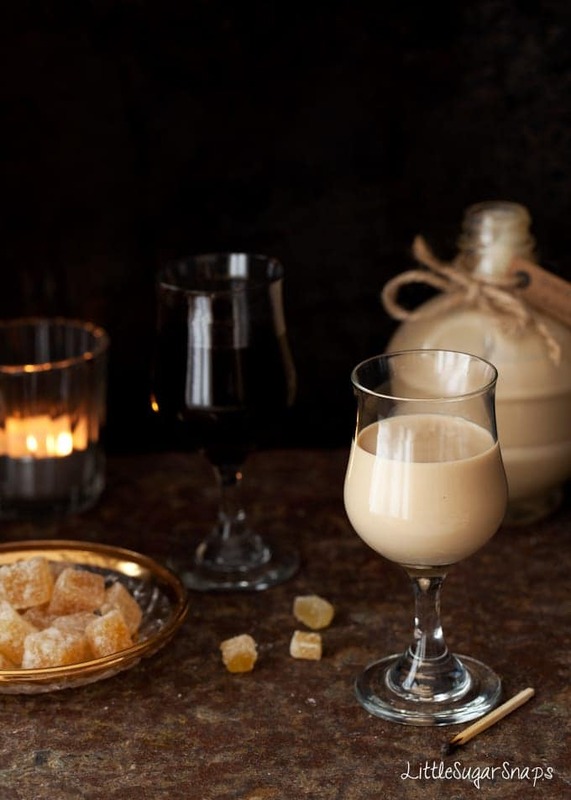 Then I can mix small bottles of the Gingerbread Cream Liqueur when I’m in the mood for it. This way it’s always fresh. And lucky me, it’s getting around to that time of year when creamy little numbers like this take centre stage on cold, frosty evenings. For anybody feeling particularly generous, a little bottle of Gingerbread Cream Liqueur makes a lovely gift for your hardworking Thanksgiving or (gasp) Christmas host. Just grab yourself some small gift bottles and attach a pretty label. luckily I liked your photographs so I scrolled down and found the idea for infused rum! I’m not the biggest fan of cream liqueur but Infused Rum sounds awesome! Brilliant – try the non-creamy infused rum. It’ll blow your socks off, but in a good way. Thanks Simon. ah, thankyou Lucy. It must be time to treat yourself. I need help with this recipe…I’m attempting to fill 4 (four) bottles, each are roughly the size of a 26er of vodka, and am wondering how much rum to purchase…I see the recipe calls for 2 cups but only needs .5 cup when adding the liquor. Thoughts?? Help please!! Hi there Ali – so pleased you are going to make this recipe. I’m not familiar with 26er, but have looked it up and the suggestion is that it’s about 750ml, so my calculations are based on this measure… 4 x 750ml is a total of 3 litres of the ginger cream liqueur. To get this quantity, you’ll need 1250ml spiced rum, plus 1250ml cream and 600ml condensed milk. That should give sufficient to fill the bottles. There may be a slight amount of spare rum and a little spare liqueur once you’ve finished mixing everything up and filling the bottles. Are you gifting these bottles Ali? As you’ll recall from my original recipe, although the rum will keep for months, once the cream is added, the liqueur will last for approximately 2 weeks, depending on the freshness of the cream and it must be kept refrigerated. If you are gifting the bottles to people it’s probably best to point this out to them so they can store it correctly. Hope all of this information helps. I remember those days! No problem at all – hopefully your friends will enjoy the booze and appreciate your effort. I made this for Thanksgiving last year and am making it again this year. It makes a really awesome coffee creamer too. Oh wow, thanks so much Kelly for letting me know. I might have to use your idea and add some to a coffee. Hi there. 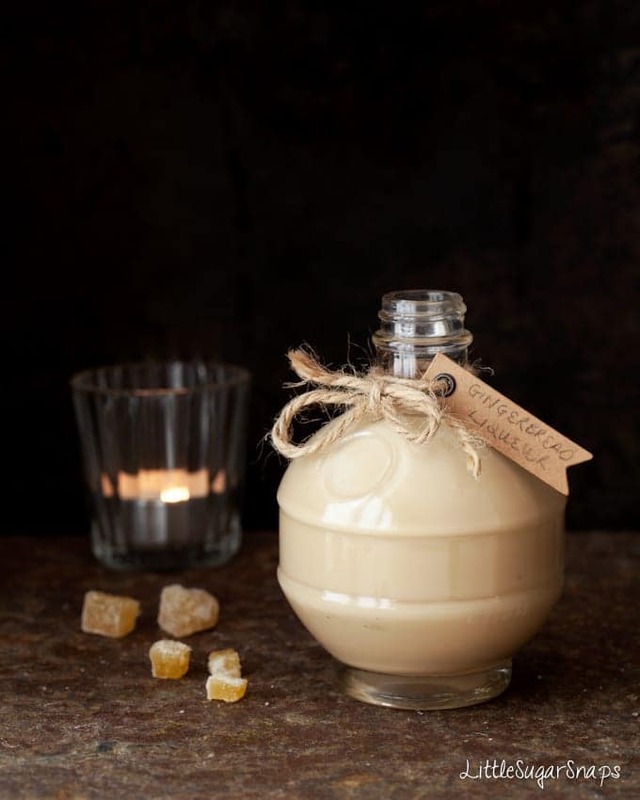 I am interested in making the gingerbread cream liqueur and I was wondering how I would change the recipe to make 12 bottles of this stuff. My family is big and I would like everyone to have one as a gift. I am having a hard time figuring out the measurements. If it helps we use the metric system here in Ontario, Canada. All the help I can get it much appreciated. Hi Shannon. I’d be glad to help unravel the maths. Can you tell me the approximate size of the bottles you’re aiming to fill? Where do you get the muscovado sugar? Amazon doesn’t have it. Thanks. 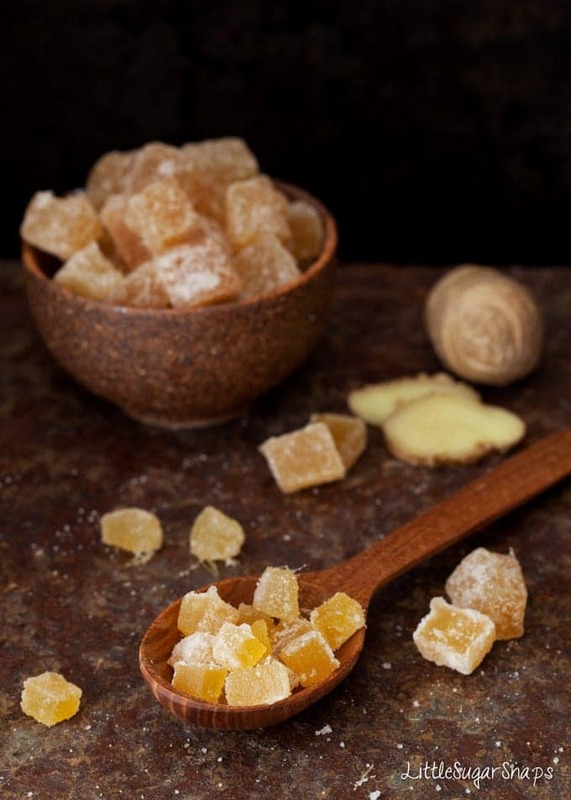 Hi Kathy, muscovado sugar should be available from the supermarket – what country are you in? I have just made the cream liqueur which was delicious but after 5 mins it has spilt/curdled what have I done wrong ? Oh no! I’ve not heard of it splitting on anybody before. My best guess would be that the liquid has come into contact with something acidic (maybe in the mixing jug or bottle it was decanted into) or the cream was at the end of its shelf life. I hope your experience doesn’t put you off trying again – it’s a cracking recipe, with nothing in it to make the liqueur split.